The City of Kingsport recently promoted Keith Bruner to serve as the Chief Building Officer. Bruner is the fifth Building Official for the City of Kingsport. He has been serving with the city in various inspection capacities since 1998 and was most recently the Master Building Inspector before being promoted. Bruner has served as president of Upper East Tennessee Building Officials Association (UETBOA), Tennessee Building Officials Association (TBOA) and Tennessee Plumbing & Mechanical Inspectors Association (TPMIA) during his tenure with the city. He has been only the fourth Lifetime Achievement award winner from Tennessee Building Officials Association in the last fifty years and holds more than 20 different certifications from the International Code Council, Tennessee Fire Marshal’s Office, and the International Association of Electrical Inspectors. Some of the hardest certifications are those of Certified Building Official and Plans Examiner and he has held those since 2012. With four daughters and five grandkids, Bruner and his wife of more than 30 years have a very busy household. 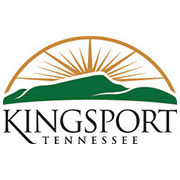 Kingsport is proud to have this caliber of experience, qualification in-house and a new vision and commitment to the Building Official position. If you have any questions, please contact Lynn Tully with the City of Kingsport Development Services at 423-229-9319 or lynntully@kingsporttn.gov.